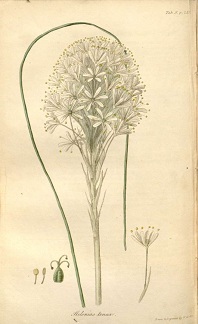 A lily with grass-like leaves and stunning, tall wands of white flowers. 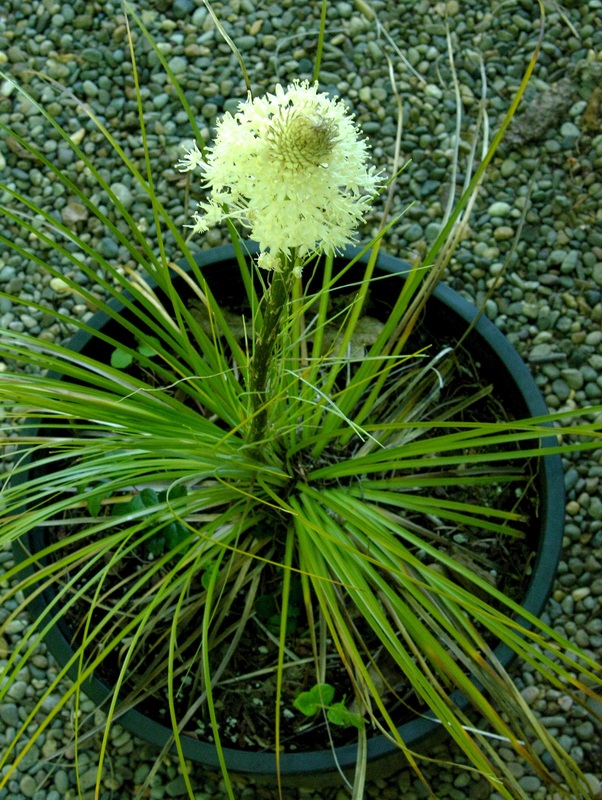 The roots are a favorite food of bears, especially as they emerge from hibernation (hence the name “Bear grass”). This plant was once called “squaw grass” because Natives used the leaves for basket weaving and weaving was considered to be women’s work. 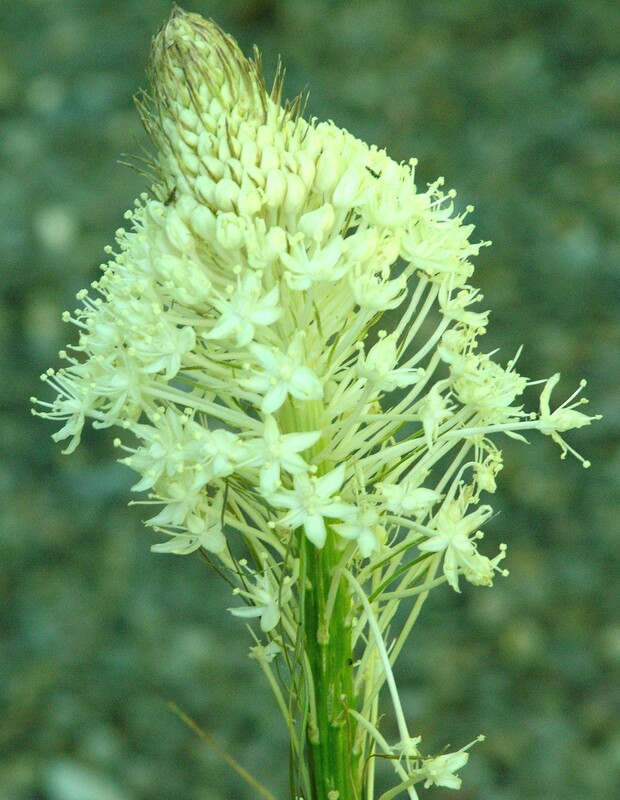 Bear Grass occurs in open mountain slopes on the eastern side of the Cascades from BC through Washington and Oregon and into Idaho and Montana (USDA 4-8). 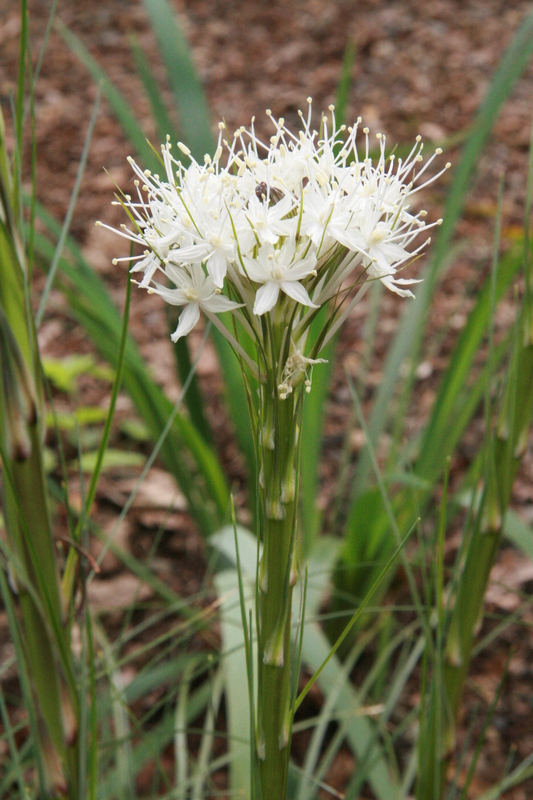 Bear Grass (Xerophyllum tenax) fills the air with an aroma sweeter than honey wherever it blooms. Once upon a time while hiking up to Mount Jefferson, I came to a mountain meadow sprinkled with this lovely plant in full bloom. Wafting through the clean mountain air was the heavenly scent of our northwest native Bear Grass. Original people used the foliage of this plant for hats, capes and strong baskets, some woven tightly enough to carry water. 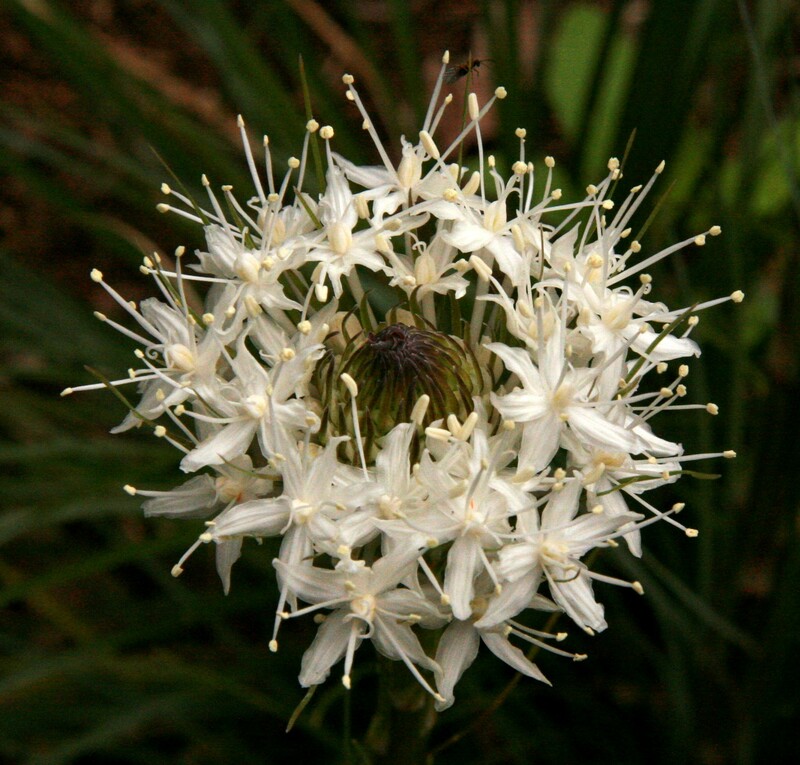 But its common name comes from the fact that bears love the fleshy leaf bases in the spring, are drawn to it by the smell of the creamy white flowers. Very difficult to cultivate, this plant should never be taken from the wild. Odd to think that a plant that grows abundantly in nature could be a challenge in cultivation but it's true. That may be a way the Earth protects this treasure.